AD Entertainment Weekly Cover - October 12/19, 2012. The Arrested Development cast on the cover of Entertainment Weekly's 'Reunions Issue'. 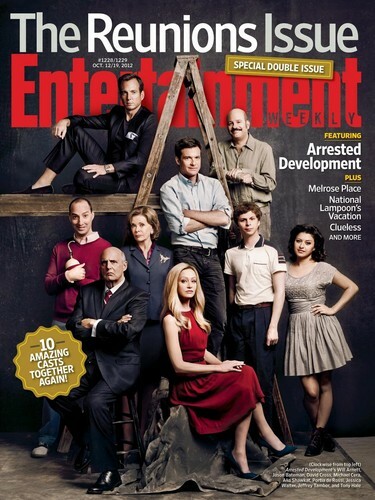 October 12/19, 2012.. HD Wallpaper and background images in the Arrested Development club tagged: arrested development cast entertainment weekly magazine cover reunions issue october 2012. This Arrested Development photo might contain anime, comic book, manga, and cartoon. Ah! You found a HQ cover! Yay!